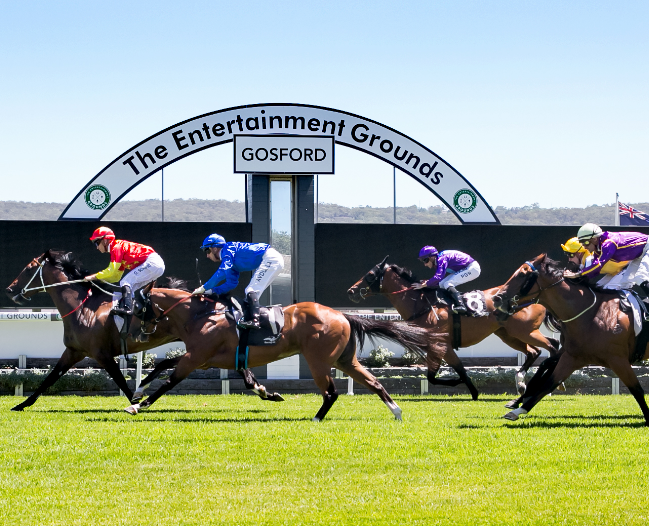 Racing returns to The Entertainment Grounds at Gosford this Thursday with a competitive eight-race card engaged for the E-Group Security Raceday. Local trainer Irene Cowell has a strong hand in the Vitality Hospitality Group 3 Or Less Starts Maiden Handicap over 1100m with her Ad Valorem filly Gottabe Red ($15 on TAB fixed odds). Having trained her half-sister Bettabet Red to nine NSW victories, the Cowell camp has an affinity with the family. “We purchased Gottabe Red off the same stud as Bettabet Red, and hopefully she can live up to her half-sister’s ability,” Cowell said. The three-year-old filly ran above market expectations on debut at Newcastle November 18, running second to Can I Rock when jumping at $101. Can I Rock has since gone on to run a nice race in town at Canterbury, finishing fifth to the promising Tell Me last Friday evening. “She’s drawn well in gate two but is naturally slow out of the barriers, so her pattern is to take a sit and get a run home along the fence,” Cowell said. The proceedings kick off with the Ladies Day 28th December 4 Or More Starts Maiden Plate over 1100m with another local represented in Grant Allard. Allard saddles up his five-year-old Trusting gelding Trust The Boss ($16), who ran a handy second on his home course two starts back. One of the more interesting races on the card appears to be the Christmas At TEG 8th December Class 1 Handicap over 1100m with the familiar combination of Gerald Ryan and a Snitzel-bred gelding. Wokurna ($2.80 favourite) looks to string two wins together coming off a maiden victory at Hawkesbury on November 14. Gates open at 12pm with the first race scheduled for 1.15pm. Hospitality packages are available with live music on course throughout the day.